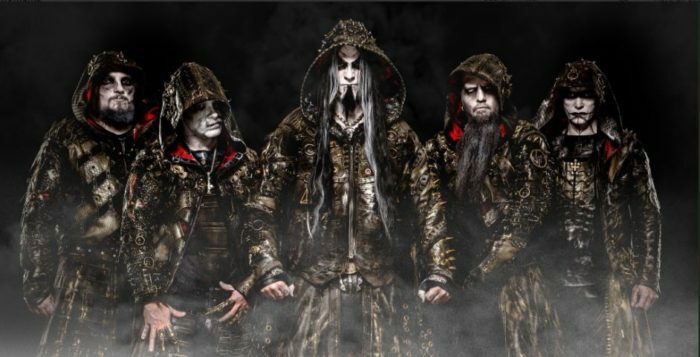 In an unexpected turn of events, Mortal-Kombat-tier Norwegian opera-metallers Dimmu Borgir have gone full on symphonic power metal in their new song. Embracing the trending female fronted power/quest metal sound that has replaced metalcore as the newest wave of a strange phenomenon known as “girlfriend metal” (the metal your girlfriend puts on while she’s cleaning the house), Dimmu have essentially robbed the sound of Nightwish, Epica, and Within Temptation while yet retaining the Hollywood-orc vocals of Shagrath. While moments resembling early Blind Guardian are in fact an improvement over a preceding album that was almost completely devoid of guitars, this is by no means quality power metal nor is it the hybrid of older Dimmu styles that the band has been mouthing off about the past few months.